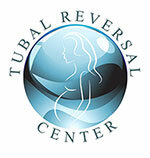 Tubal Reversal surgery is a specific branch of microsurgery that requires extensive experience and training with microsurgical techniques. All tissues of the Fallopian tubes and the surrounding structures require very delicate and careful handling to ensure that the tissues are not damaged during the surgery. Additionally, extremely fine sutures are used that can be very difficult to see without powerful loupes or a microscope. The stitches need to be precisely placed in these fragile tissues, and this can only be done with great care and the use of magnification. When performing microsurgery, great care must also be taken to minimize the burning of tissues and these delicate tissues must also be kept moist at all times. Dr. Morice uses a special solution that he has formulated over the past decade to irrigate these tissues throughout the surgery. While any surgeon can take a basic course in microsurgical technique, it takes many years of performing microsurgical procedures to truly master the art of this very specialized surgery. There are several surgeons throughout the United States who have the experience, skill, and success that it takes to truly master this specialized procedure. When choosing a Tubal Reversal surgeon, make sure to chose a specialist with over a decade of performing large numbers of Tubal Reversals so that you can be assured that you will have the best chance of success with your surgery.